Lock in a great price for Tabulia Tree – rated 8.2 by recent guests! The staff was extremely wonderful and very attentive (and crazy hard working!!). The room was a great size. The breakfast options were delicious as well as the dinner we had there. It was really nice having the pool table in the restaurant area. The little bar by the pool was a nice bonus! If you have a car, its a very quick drive into town. Very pretty view from room. The beds were very nice and it was a good value. Delicious breakfast, beautiful facilities. Our stay here was everything we were looking for. The staff was amazing and very friendly. The room and bed was very comfortable. Breakfast was delicious. This was the third hotel we changed to In this area because the other 2 were really terrible. 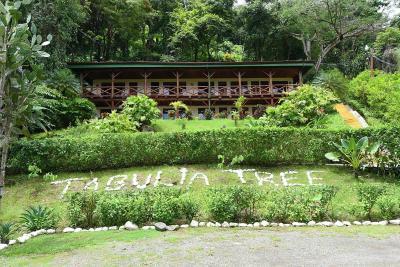 Staying at Tabulia Tree really saved our trip and whole experience in the Quepos/Manuel Antonio area. I highly recommend it. I liked that it was like staying in a tree house...great foliage everywhere. 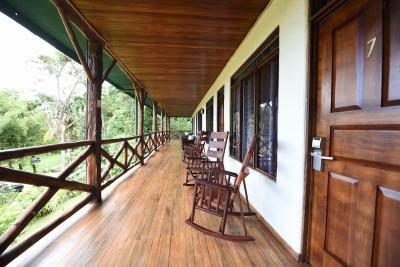 I like the wood features of the porches & rooms. Rooms were clean and very spacious. Bus stop directly outside with easy access to beach etc. La habitacion, el servicio y personal super amables. Excelente servicio, el personal muy atento y amable! 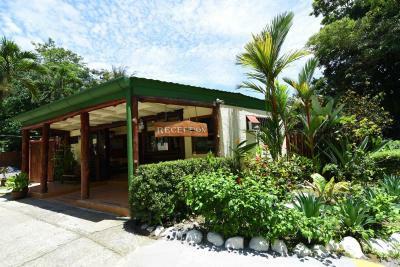 Surrounded by native vegetation and local fauna, Tabulia Tree offers comfortable accommodations in Manuel Antonio. The property features an outdoor swimming pool. Free WiFi access is available in all areas. Rooms at Tabulia Tree afford a rustic style with detailed decorations in dark tones. They are equipped with air conditioning, cable TVs and private bathrooms. All of them offer views of the mountains, and some include private terraces. 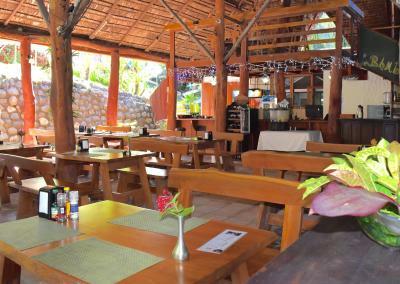 There is an onsite restaurant where a daily breakfast is served, and other meals can be requested throughout the day. Guests can also enjoy a wide array of activities in the surroundings, including fishing, snorkeling and canoeing. The property offers free parking. Juan Santamaría International Airport is 103 mi away. When would you like to stay at Tabulia Tree? 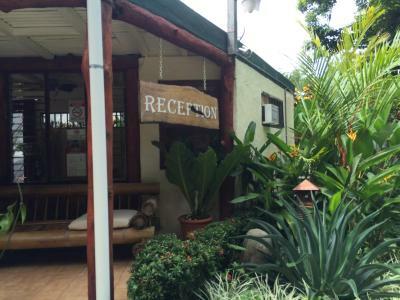 This double room has air conditioning, full bed, sofa, cable TV and a full bathroom. A refrigerator and coffemaker are included. Guests can enjoy swimming pool views. This double room has air conditioning, a full bed, cable TV and a full bathroom. There is a shared balcony with hammock and garden view. This double room has two full size beds, air conditioning, cable TV and a full bathroom. There is a shared balcony with a hammock and garden view. House Rules Tabulia Tree takes special requests – add in the next step! Tabulia Tree accepts these cards and reserves the right to temporarily hold an amount prior to arrival. The steps are a bit tough, but I knew they were there going into it. It did help burn off the calories from the great margaritas! They will take your luggage up to your room for you. Our shower smelled very strongly of mildew, but was a nice, hot shower. The pool was also closed the day we were there. Openings in room, allowed for bugs to enter. Jacuzzi wasn’t on. Nice staff. Pretty location. Clean rooms. Very nice staff! Amazing room!! There was nothing I disliked about our stay. Everything was great. They charged us $15 for a small hand towel! The food and service were very hit and miss. The choices for breakfast were a lot less than I would expect at this price . Worst of all was the fact that our door keys failed to work EVERY one of our 4 days which meant walking down 113 steps to reception who really were not too bothered ! There is a coffee maker in the room...but no coffee!